What is up Dacetacular Nation? The Dace Man here bringing you some 2015 New York Comic Con coverage. Seeing as this is a Marvel panel, I don't have any video footage and what pictures I did take are blurry due to S.H.I.E.L.D. interference. Let me see if I can paint you a pretty picture with my words. Seeing as this is a television-themed panel, the master of ceremonies was none other than Jeph Loeb. He walked out to the iconic NYCC podium to the Agents of S.H.I.E.L.D theme and thunderous applause. Mr. Loeb then proceeded to welcome us back to another year of the convention and reminded the audience this was where the prime time shows are first announced. After gushing over the fans with gratitude and feeling the excitement in the air, he played with the crowd to see if it was primarily Team Carter or Team S.H.I.E.L.D. This triggered Clark Gregg to the stage, claiming he heard his theme in the beginning and apologizing for being late. The crowd erupted with "Coulson" chants which Jeph tried to settle down. Once the crowd quieted, Jeph shooed Gregg offstage in order to air a message from the stars of Agent Carter, but first thanked many behind-the-scenes players like Joe Quesada, who happened to be sitting two rows back from me. The clip began with Haley Atwell (Peggy Carter) and James D'Arcy (Jarvis) regretting they couldn't make it to this year's New York Comic Con due to filming in Los Angeles. They went on to joke that unfortunately, Dominic Cooper would not be able to return to the second season to portray Howard Stark because he had simply vanished. The duo then turned to exit down a path but ran smack into a painted wall. As the camera pulled back, we saw Dominic sweeping. The clip ended and the focus returned to Loeb on the stage, who explained to the audience that Dominic—along with Bridget Regan and Enver Gjokaj—would be returning, with the addition of several new characters to the Marvel Universe. The last piece of Carter talk revolved around an exclusive clip of Jarvis and Carter in one of Howard Stark's cars—cue lots of sexual jokes about Howard and the gadgets within the car to help him with his moves. Loeb ended the Carter segment, and a fan yelled out something inaudible to me but to which Loeb responded, "I have people in Hell's Kitchen to take care of you." After a smile and lots of laughter, Loeb summoned Gregg back out for a fan question and answer session. The first question asked to Loeb and Gregg was the involvement of The Inhumans in television with the upcoming movie in 2019. They both expressed great interest and excitement about getting to explore the evolution of Inhumans over the next four years. Clark went on to say how cool it is to see people with powers on his show. The next question revolved around which main cast member would they most like to see evolve into an Inhuman. Clark conveniently kicked the question to Loeb, who gave the standard answer of "you need to tune in and find out." The following question asked what happened to Lola and would we see Mutants—Loeb said he couldn't answer, but Gregg cut him off and said he could. He goes on to explain the mutants are trapped in a realm of "copyright" and hopefully one day they could all get along. Loeb reminded us that that was Gregg's opinion, not Marvel's. Gregg took one last jab at the copyright issue, saying, "So there's no Deadpool crossover this season?" Loeb quickly moved on to the next question, which sparked more banter between Gregg and himself. 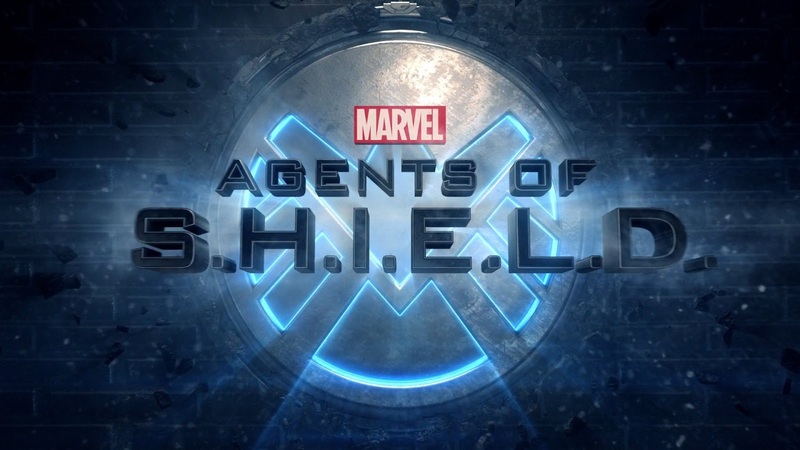 Next up was an early screening of the third episode of Marvel's Agents of S.H.I.E.L.D. for this season. All I will say is: watch it, it's phenomenal. Well, that's all the New York Comic Con coverage I have for you this time. Make sure you check back frequently for more con coverage!